No big bicycle urbanist article this time. 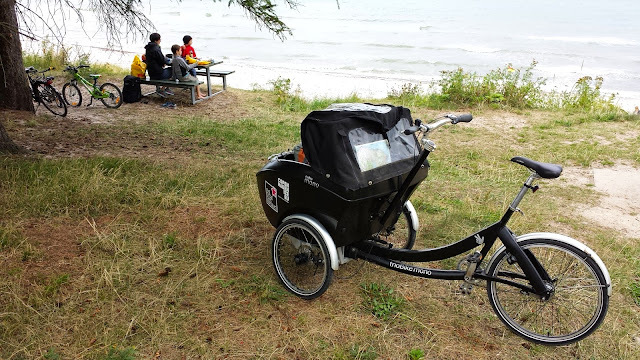 Just a simple tale of what happens when you loan out your cargo bike. During the summer, a Swiss family from Lausanne checked into my Airbnb room. I have had only wonderful experiences with being an Airbnb host. Half of my guests know my work through the company or through this blog or had the link sent by someone who does, so I get to meet many likeminded people. The other half just like the look of the place so I get to meet fascinating strangers and welcome them into our home. The Swiss family were cool. 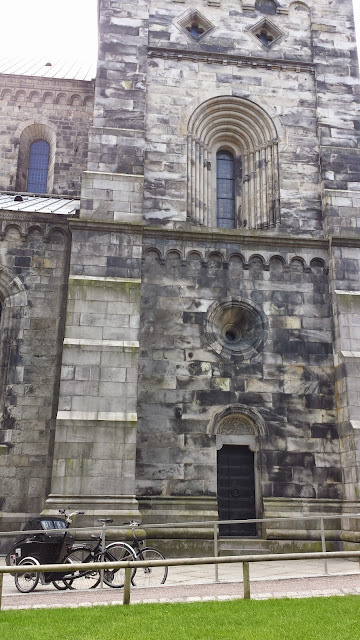 They kind of just rocked into Copenhagen without any definitive plan. 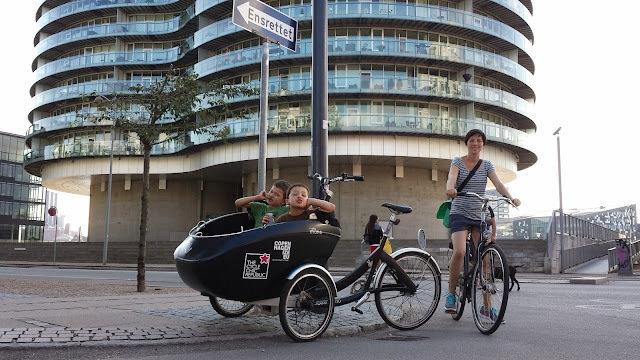 They just wanted to come here to see this cool, bicycle-friendly city. They even brought their kids' bikes with them on the plane. 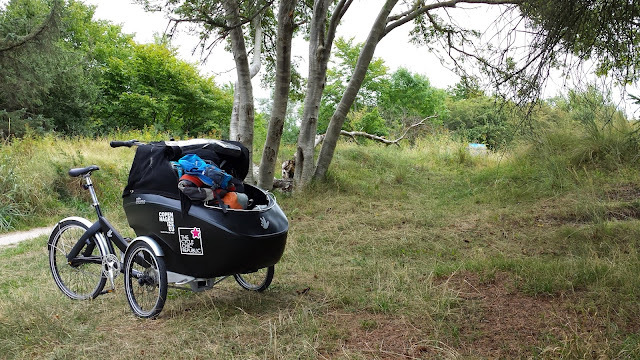 They had vague ideas of renting a cargo bike - preferably a Bullitt - and riding around the region but were disappointed to discover that Bullitts couldn't be rented and the other places that rent three-wheelers were booked. I was using my own Bullitt at the time, so they enquired about the Triobike three-wheeler I have in the backyard. I said that it probably wasn't THAT great to ride on longer trips, what with the wind and whatnot, but they just shrugged and smiled. They were up for anything. And off they went. 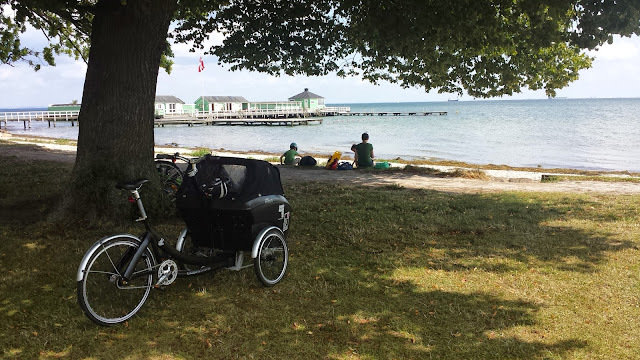 They cycled up the coast north of Copenhagen to the north coast of the island of Sjælland that Copenhagen is on. Then back down again. 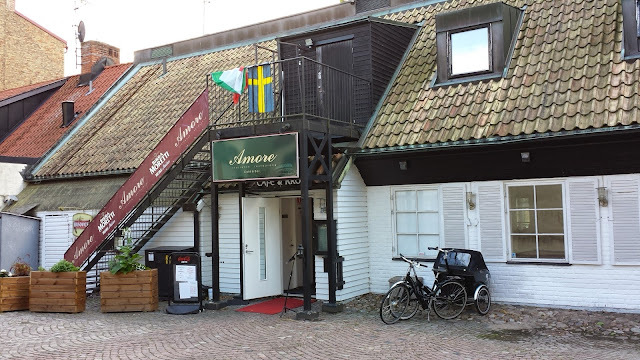 Then over to Malmö in Sweden to ride around the region. 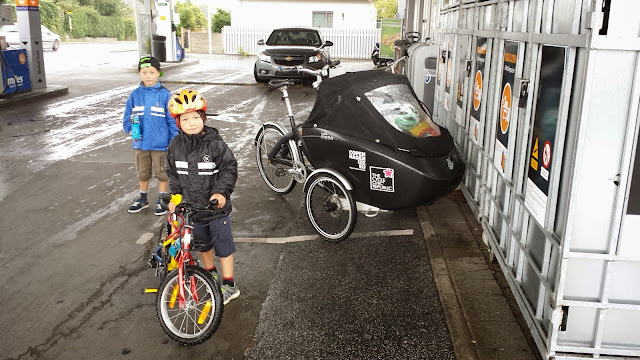 The kids rode their bikes and when one got tired - they were four and six - they just put the bike and kid in the cargo bay and continued. I heard about their journey but I just received the photos in my inbox. It was, by all accounts, an amazing, epic journey. 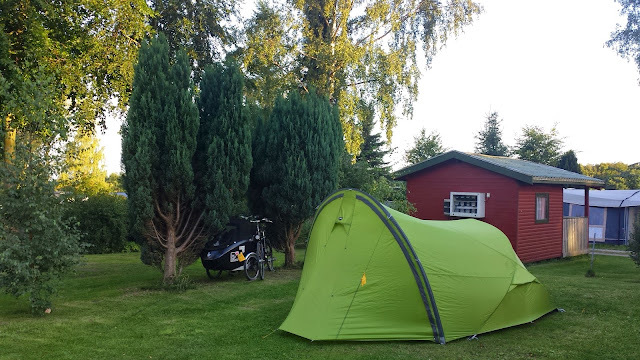 There are, of course, cycle tracks criss-crossing the nation - especially the island of Sjælland - so THAT was no problem, but respect for doing a few hundred kilometres as a family on a three wheeler, two small kids' bikes and one extra adult bike. Pit stop at a gas station. Not for gas, obviously. Heading north from Copenhagen. Stopping at Charlottenlund. They had camping gear with them, too. Always fun with some off-roading. 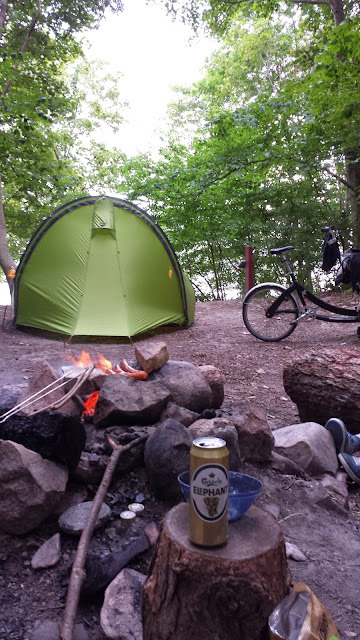 Lakeside camping with pre-requisite Danish beer. 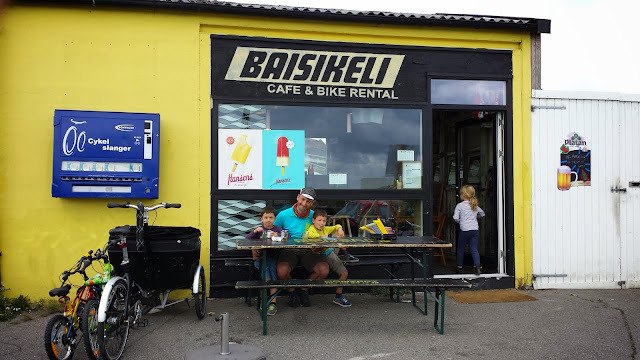 A break back in Copenhagen at Baisikeli's café. Thanks to Simon and Sonia for the photos so I can see what they got up to on my bike!